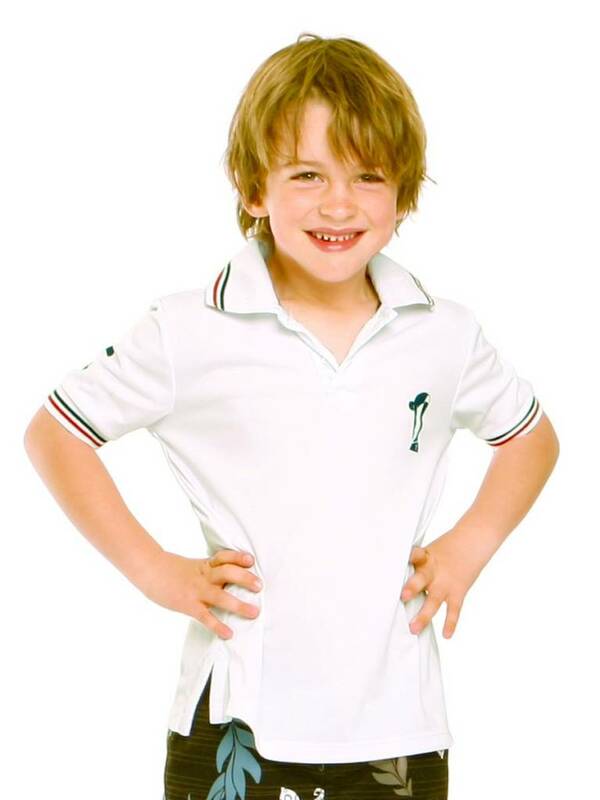 Classy UV Polo with short sleeves for boys. The fabric feels very soft to the skin and gives an UPF50+ sun protection. 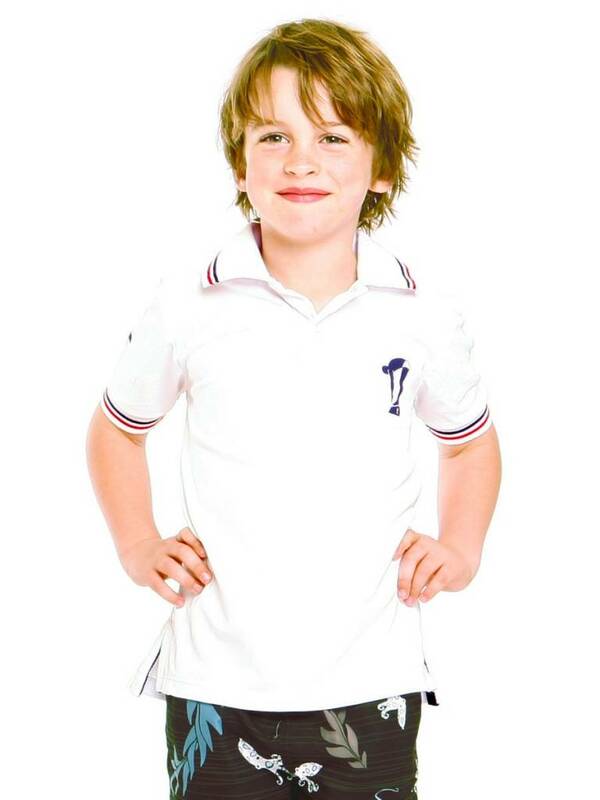 A perfect boys polo for summer sports and outdoor activities where UV sun protection is always important. Constructed from advanced UPF50+ fabric that is light weight, breathable and moisture wicking providing a high level of protection from UVA & UVB sun rays. 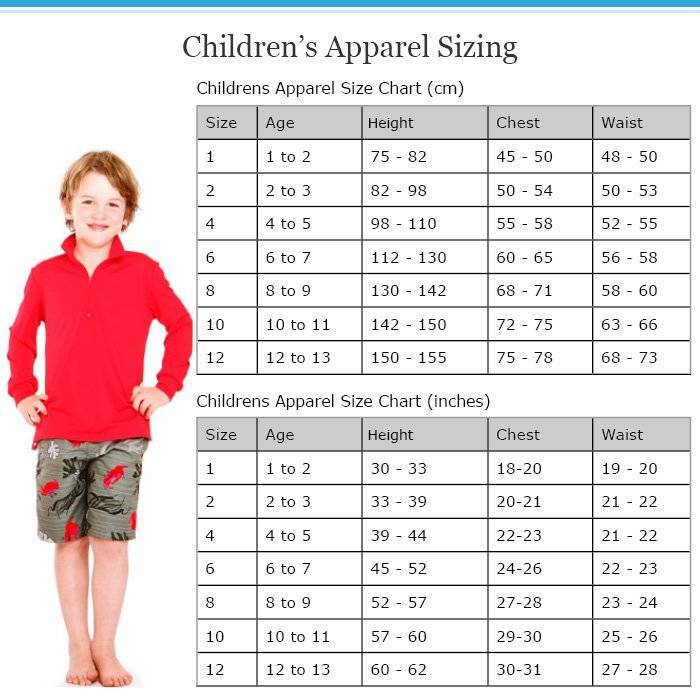 The fabric is very soft to the skin, quick drying and fully machine washable. 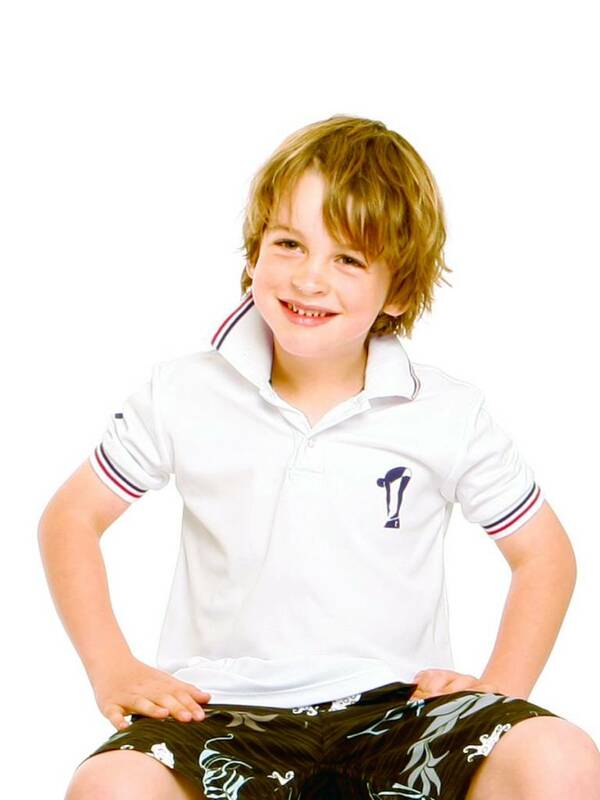 Polo's are specifically designed be practical, functional and comfortable with movement. Other features include high neck collar for back of neck protection and comfortable elasticised cuffs. Short sleeved in white. Proudly made in Australia. 45% Liquid Titanium PET, 45% Wicking Polyester.